The Food Alphabet and More: foodpanda launches "Hot ‘n Hungry: the biggest discounts on food you love this summer"
“Summer brings crowds, long queues and traffic into shopping malls. We, at foodpanda, want our customers to enjoy the food they love while beating the heat and so we are offering these discounts this summer season! Simply download the app and order food you love during the Hot ‘n Hungry – and get good food delivered to your doorstep,” says Lacopo Rovere, CEO at foodpanda. 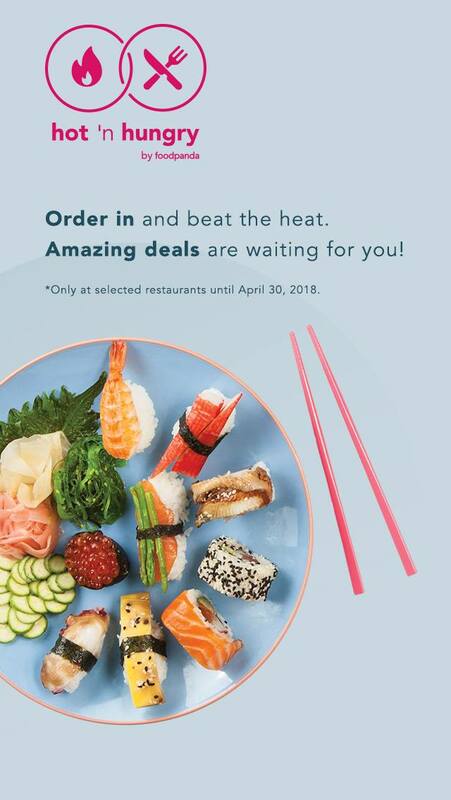 With over 50 restaurant brands participating in Hot ‘N Hungry, customers can expect jaw-dropping offers,huge discounts and exclusive bundles in April.